HVAC Double Inlet Fan with Backward curved blades, with ForeFinger ®. the integrated design of the trapezioidal cut-off, developed to work with ForeFinger ®. increase airflow and pressure. For a required volumeand pressure the fan can now run at a lower speed or, alternatively, you can select a smaller fan. more uniform flow at the fan outlet. This can result in better filter and coil efficiency in the air handling unit. wider working field with high efficiency. This means more flexibility. significant reduction of noise generated by the blades, especially in the low frequency range. The performance data are in accordance with DIN 24166 CLASS 1. It is ERP 2015 compliant. 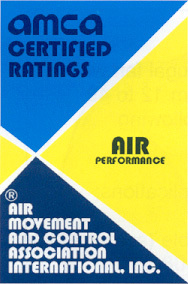 NTHZ serie is AMCA certified.